et to know multifaceted Spain on this exciting vacation. 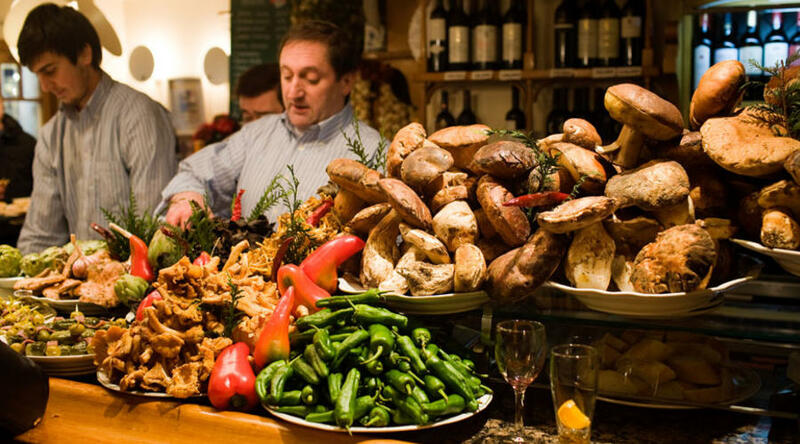 Start your journey in Madrid, the country’s grand capital. Visit the Aranjuez Royal Palace, marvel at the Cuenca “hanging houses,” and explore the ancient winding streets of Valencia. Drive along the Mediterranean Coast and stop at Peniscola Castle on the way to beautiful Barcelona. Travel through Catalonia, stop in Saragossa, and continue to Pamplona, known for its running of the bulls. 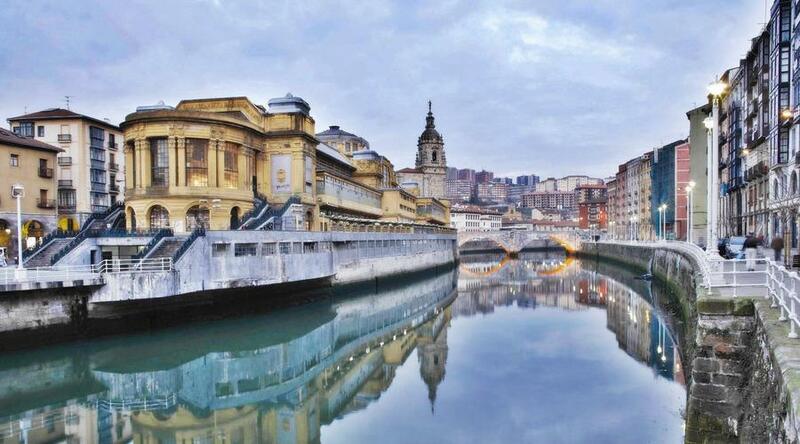 Carry on to Basque Country and visit San Sebastian, the port city of Bilbao, and Burgos. The heart of Spain reveals even more stunning cities, such as Segovia, Avila, and Salamanca, known for their unique historical centers and acclaimed wine production. Next, head south into sunny Andalusia for two overnights in spectacular Seville. Sample sherry wine in Montilla. Stop in the white-washed village of Ronda; visit the exotic Alhambra complex, residence of Moorish kings, in Granada; enjoy the labyrinth of Cordoba’s old Moorish quarter surrounding the exquisite Mezquita; and retrace Don Quixote’s footsteps as you travel among the windmills and castles of La Mancha. Back in Madrid, enjoy two final overnights and guided sightseeing of this elegant city. Check into your hotel. The rest of the day is free to start exploring lively Madrid. Tonight, meet your Tour Director and fellow travelers. (D) MADRID Praga (ST). Start the day by driving to nearby Aranjuez in the Castilian Plain, where you stop to visit the ROYAL PALACE, originally built in the 14th century. Although burned down both in 1727 and 1728, it was splendidly rebuilt and became a favorite residence of Spanish royalty. Continue traveling southeast to the magnificently located old town of Cuenca, which stands high above the precipices of the Jucar and Huecar Rivers. It is famous for its “hanging houses” that are suspended over the Huecar ravine. Journey on to Valencia for two overnights. Tonight, enjoy a typical dinner at a local restaurant. (B,D) MADRID Praga (ST). 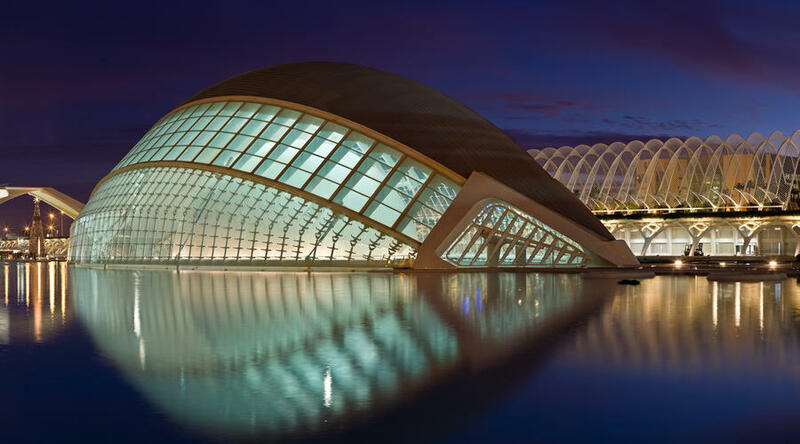 Valencia is known mainly for its wonderful climate and the quality of its light. Enjoy a drive along wide avenues lined with fig and palm trees and along the old quarter’s narrow streets with its fine gothic houses and typical patios. Time to do some shopping or more personal sightseeing and, of course, the option of joining an excursion. (B) VALENCIA Confortel Valencia (ST). An interesting day starts with a drive north to the nearby Castellon for a visit of its PENISCOLA CASTLE, built by the Knights Templar in the 14th century. The promontory on which the castle and town are located is a fine reminder of medieval times. Continue your journey through orange groves and seaside resorts past Tarragona to Catalonia’s lively and beautiful capital, Barcelona. (B) VALENCIA Confortel Valencia (ST). This morning’s sightseeing with a Local Guide will include a drive around Montjuïc to see the Olympic Stadium and a great panoramic view of the port and city. The drive continues to the city center to Plaza Catalunya and Paseo de Gracia to admire the greatness and eccentricity of Gaudi’s architectural masterpieces in the Houses Batlló and Mila and the Sagrada Familia (entrance fees not included). (B,D) BARCELONA Porta Fira (F). See more of Catalonia as you drive northwest to Saragossa on the banks of the Ebro River. During your stop you’ll have time to see the SANCTUARY OF OUR LADY OF THE PILLAR. Continue north through fertile valleys and the Rioja wine-growing region to Basque Country and on to the capital of the ancient Kingdom of Navarra, Pamplona, for an overnight stay. (B) BARCELONA Porta Fira (F). 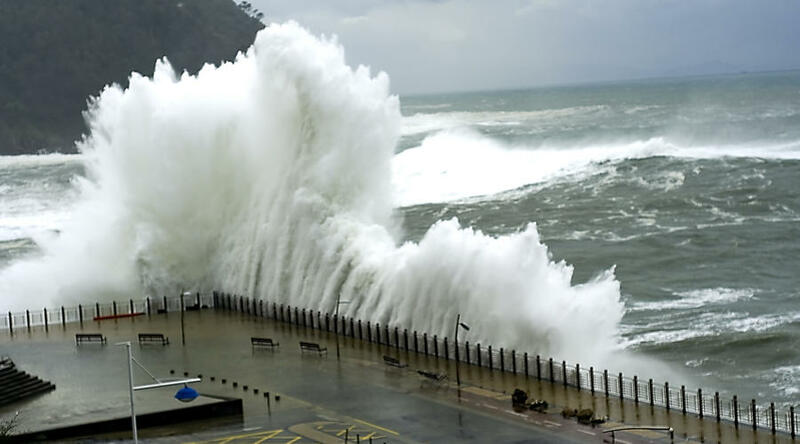 Start the morning by driving further into Basque Country for a visit to San Sebastian (called “Donostia” in Basque), the seaside resort on the southern coast of the Bay of Biscay. 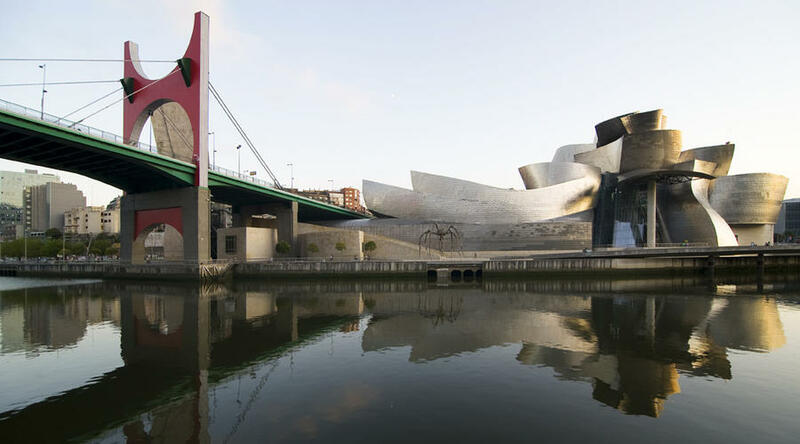 Journey northwest to the port town of Bilbao. Free time for leisure activities—maybe an independent visit to the Guggenheim Museum. The building, by Frank Gehry, is considered one of the 20th century’s great architectural masterpieces. In the afternoon, travel south to Burgos. (B,D) PAMPLONA Maisonnave (ST). Today, head southwest into Castile. Enjoy some grand scenery as you travel to the edge of the Sierra de Guadarrama, a green oasis in the Castilian desert. Stop in Segovia, magnificently perched on a rock formation at an altitude of 3,280 feet. The cathedral, the Alcazar, and the Roman aqueduct are some of its more famous sights. Next, drive west to Avila for a short visit before continuing to Salamanca in time to enjoy the extraordinary beauty of its Plaza Mayor. (B) BURGOS Corona de Castilla (ST). Leave early this morning and cross the mighty Tagus River and the Guadarrama. Stop in Caceres, declared a World Heritage Site by UNESCO for its blend of Roman, Islamic, northern gothic, and Italian renaissance styles. Enjoy more Spanish landscapes before reaching Seville, one of Spain’s most colorful cities. (B,D) SALAMANCA Catalonia Plaza Mayor (F). A full day at leisure. Perhaps you’d like to spend this morning enjoying an optional sightseeing tour including the main highlights of the vibrant city. (B) SEVILLE Don Paco (ST). 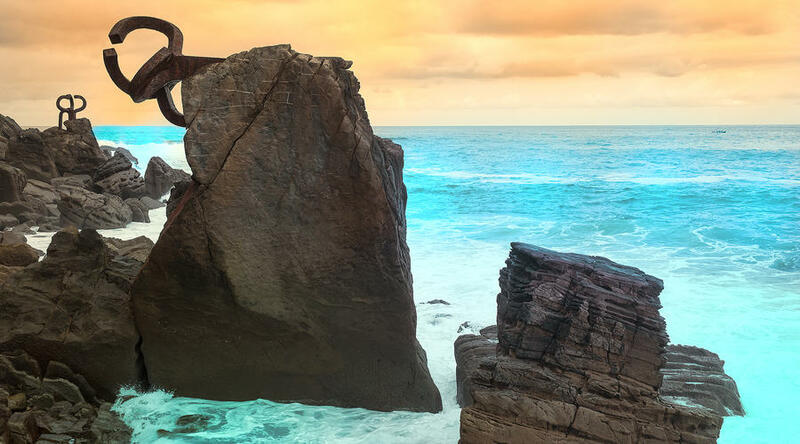 A day to see the best of Andalusia. Head south by way of the typical white-painted villages to the town of Ronda, famous for the ravine that literally cuts it in two and, of course, its bullfighting connections. Overnight in Granada in the shadow of the mighty Sierra Nevada. (B,D) SEVILLE Don Paco (ST). Granada was the Arabs’ most treasured city; they still mourn its loss in their prayers. Visit the ALHAMBRA, a summer complex built by Moorish kings. More grand scenery this afternoon as you travel first to Montilla for a visit to a local WINE CELLAR for a tasting. Then, continue to Cordoba on the banks of the Guadalquivir River. (B,D) GRANADA Don Juan (ST). Cordoba is perhaps Spain’s most Moorish city with its great mosque, the MEZQUITA, one of Islam’s most important pieces of architecture outside the Arab world. You’ll enjoy the small, white-washed houses, the winding streets, and the colorful squares. Later, journey into the very heart of La Mancha, famed for its castles and windmills. Reach Madrid in time to enjoy a relaxed evening. (B) CORDOBA Selu (ST). This morning the optional trip to Toledo is most rewarding. The splendid setting of this old walled city above the Tagus was made famous in El Greco’s painting, and even now it’s like a great open-air museum of Spanish history and art. Later, join the included Madrid city sightseeing. Not only because it’s the capital of Spain but also because it is situated 2,180 feet above sea level, the Spaniards say it’s the nearest thing to heaven. (B) CORDOBA Selu (ST). Your vacation ends with breakfast this morning. (B) CORDOBA Selu (ST). 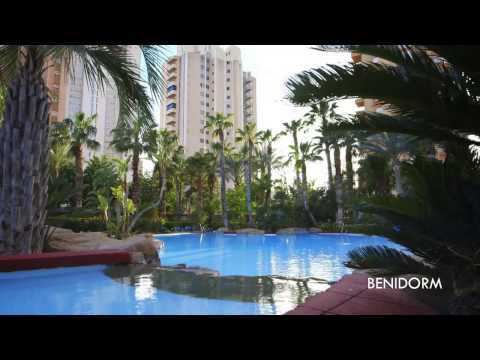 Single room supplement:$700 No triple room reduction. Madrid Arrival Transfer Madrid Barajas Airport: $25.00 per person Madrid Departure Transfer Madrid Barajas Airport: $25.00 per person Based on the same arrival & departure date. prices may vary in case of extra nights. please call for the exact pricinig.